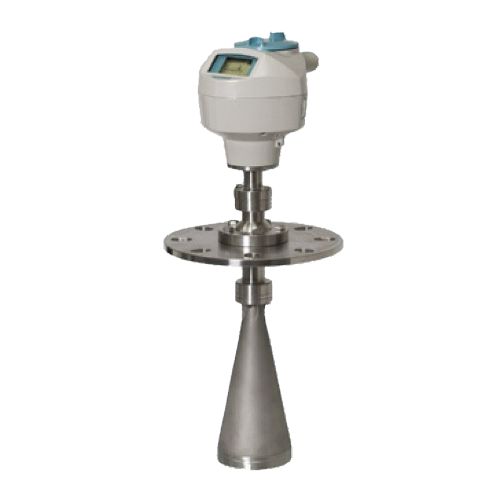 The SITRANS LR260 is a 2-wire 25 GHz pulse radar level transmitter, used for continuous monitoring of solids in storage vessels. It is designed to operate in extreme levels of dust and high temperatures, to a range of 30m (98.4 ft). The SITRANS LR260 includes a graphical local user interface (LUI) that improves setup and operation.Using an intuitive Quick Start Wizard, and echo profile displays for diagnostic support. Its unique design allows safe and simple programming using the Intrinsically Safe handheld programmer without having to open the instrument’s lid. Suitable for applications such as Cement powder, plastic powder/pellets, grain, flour, coal and solids bulk storage vessels. The SITRANS LR260 is a 2-wire 25 GHz pulse radar level transmitter for continuous monitoring of solids in storage vessels including extreme levels of dust and high temperatures, to a range of 30 m.